A classic Empire wall hung pan from Silverdale Bathrooms, this stunning Art Deco influenced toilet features bold, clean and distinctive lines. Comes with a lifetime guarantee against manufacturing defects. It's wall hung design gives the illusion of more floor space and makes the bathroom easier to clean. Suitable for use with our Concealed Cistern Wall Hung Frame. 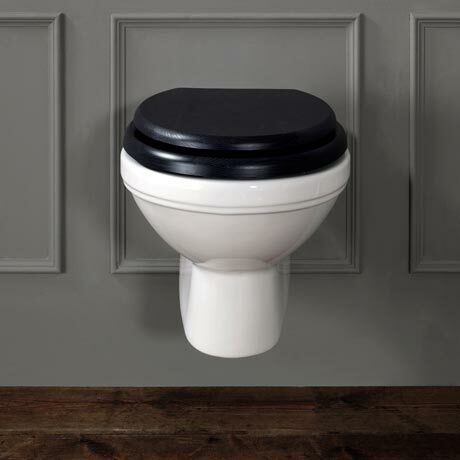 Suitable for use with our Concealed Cistern Wall Hung Frame.